Recently (not recently by the time I’m posting this, though), I was reading in a group and they were talking about piecing backings. One mentioned that her long armer asked to make sure the seams were opened and larger than 1/4”. I get that. I like opened seams also. I don’t long arm as of right now, but I can tell at times as there is some drag, or it doesn’t want to move as easily when I those extra seams. It all depends on what fabrics I’m using for backings. I use pretty much everything. I wanted to take this time to show you my pieced backings. It’ll be a gallery - I’ve done all kinds of things. 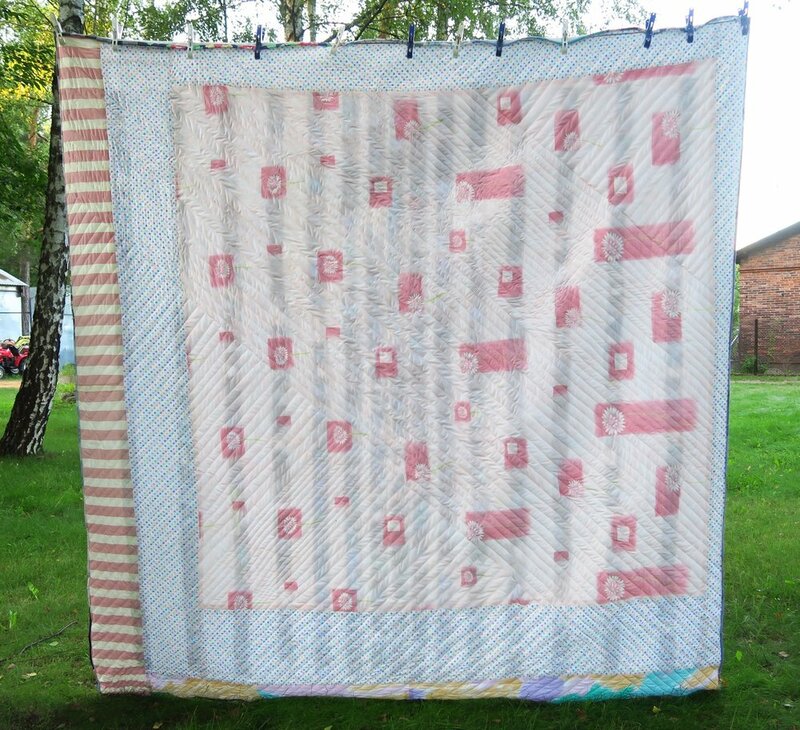 Early in my quilting, I used a ton of not-so-nice fabrics for my backings of my charity quilts. However, I’ve used up all of that fabric by now. 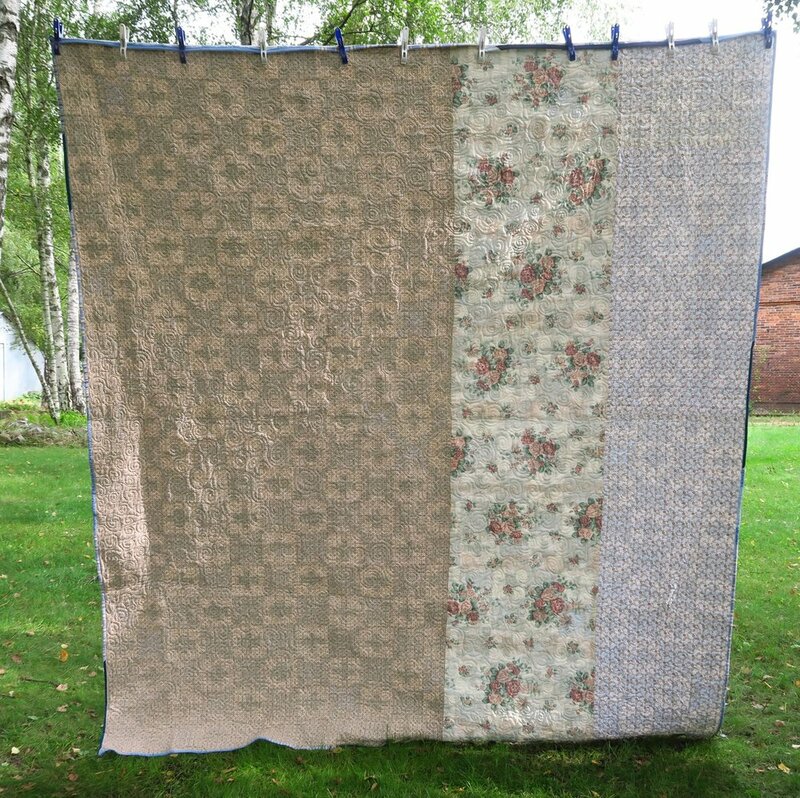 Anymore, I mostly don’t piece my charity backings except when I make the larger quilts. 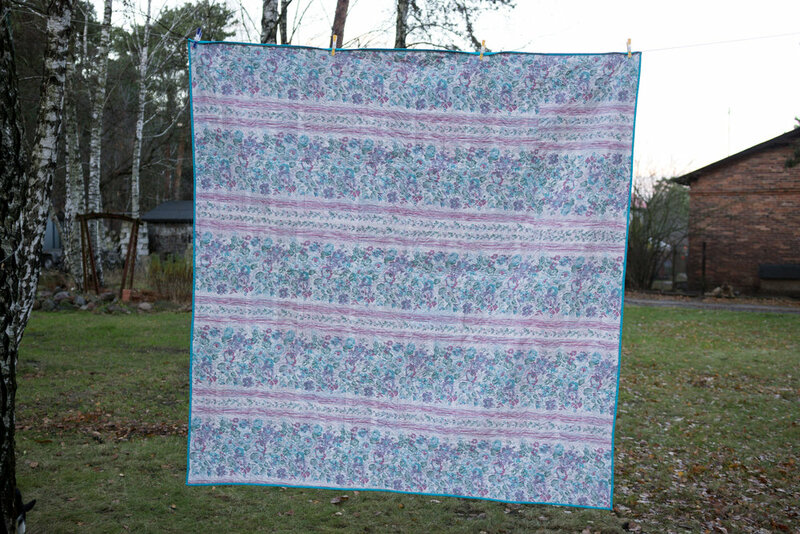 Instead, I’m using wider Polish produced fabrics and it makes a two-sided quilt - one size that is patchwork, and the back side is a big print. Anyway…here are quite a few “backs”. But as far as I am concerned, piecing backings works! Use your smaller pieces - possibly things you have no other use for and use them up! Oh, and if you happen to hate piecing backings, my sis has a lot of them on the site for you at any time! You can order them at 8.49/yard with only $5 shipping to anywhere in the USA! Such a deal! "Royal Jewels" upcycled blues top #41 finished!